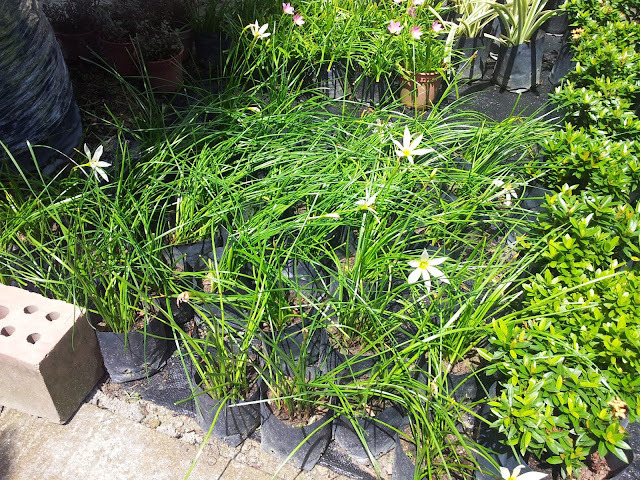 Above plants are Chinese Chive or Garlic Chive with flat broad leaves and below is the ornamental flowering type, which is not for consumption. Their leaves are thicker and flower either white or reddish pink. Their leaves do not have the garlic smell. 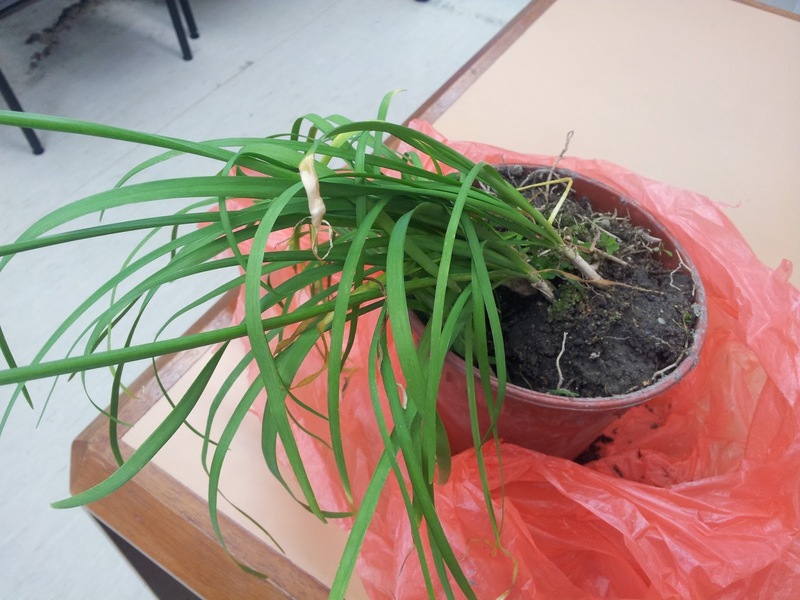 Be careful when buying garlic chives for your kitchen garden. 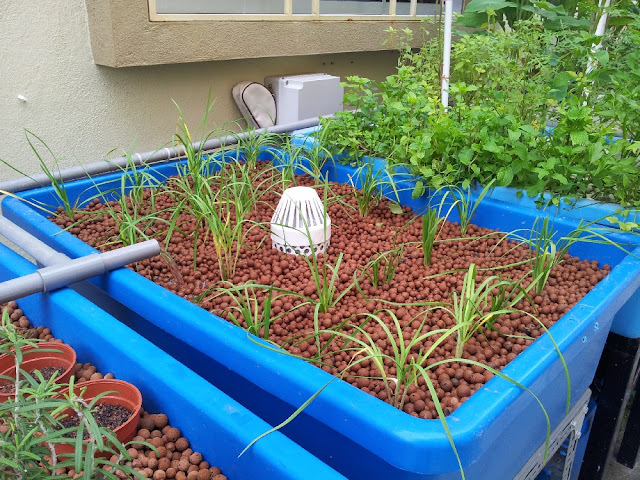 So straight from work, I did what's necessary and get those plants into my Aquaponics growbed. Below row of Kuchai after I remove them from the pot for transplanting to growbed. 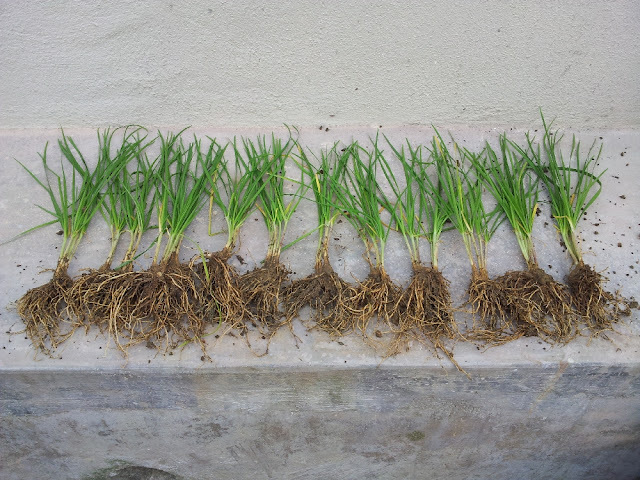 Being in the onion family, this plant may not like to get their feet wet. I just wanna try and see... let just see what happen. BTW that bag beside the electrical box is covering the light sensor causing the Aeration pump to operates, I do this occasionally to run aeration pump during the day if I disturb water pump or major work on growbed.